Our cooperation with the best and most renowned international sandcarvers is what makes us what we are. 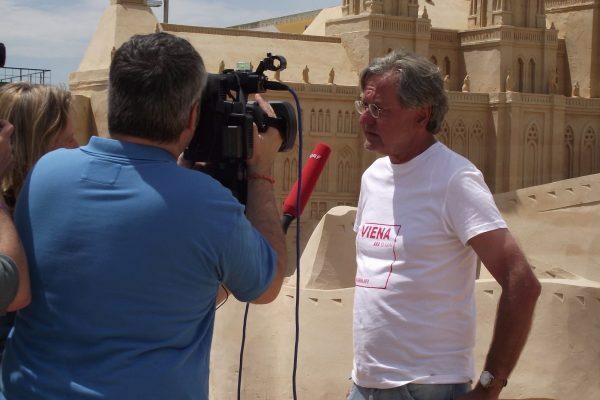 And we are here today as representatives of all those with whom we have executed our sand sculptures over many years. For each project, no matter what the size, we put together the perfect team: Specialists for architectural replicas are just as well represented as masters of figural representations – we even have the right artists for portraits of well-known personalities (the supreme discipline!). 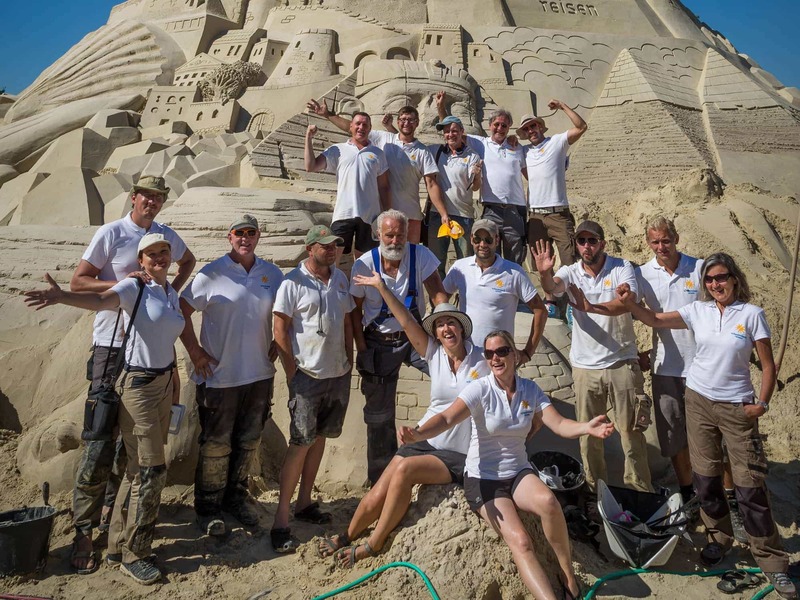 Benno has been dedicated to sand sculptures as a new art form since 1997. Over that time, he has organised around 200 exhibitions. He is contact partner for the planning, consultation and organisation of your project. And he lives for his sand sculpture projects: when he is not in his office, you might well find him sitting on a forklift, shifting sand-filled “big bags” to a new exhibition location. 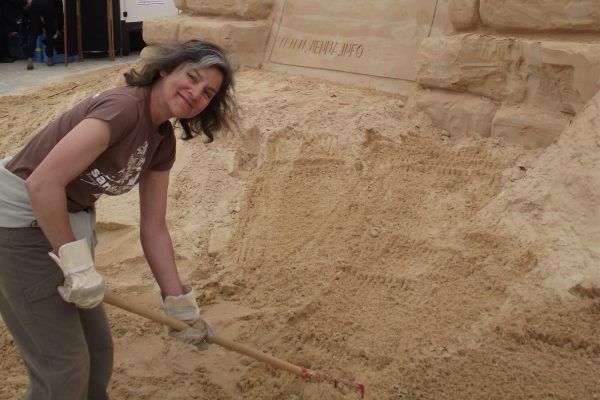 Claudia has been part of sandcity since the very beginning. She is completely on top of things and is Benno’s deputy on projects. Claudia’s core competences are in the commercial area and she looks after the internet and social media presence. In addition, it was often her creative input that gave many of the sand carvers and pieces of sand artwork that decisive final tweak.